In order to help our SimpleMDS and SimpleCFS customers (as well as our industry at large) prepare for the upcoming changes, SimpleLTC invited Texas State RAI Coordinator Cheryl Shiffer to present a special free training webinar covering the upcoming MDS 3.0 changes in detail. The training was very well received, with more than 900 people attending. 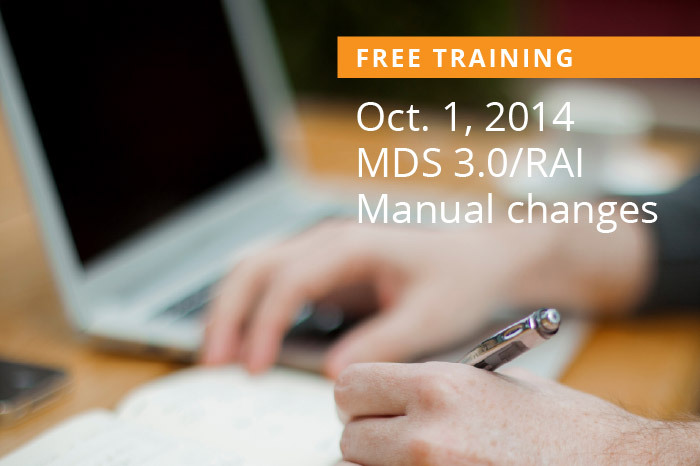 We’re now making the MDS training available for free on our site. You can also download the webinar slides for reference and find direct links to the CMS changes. Please pass this information on to any of your colleagues who may benefit from it.